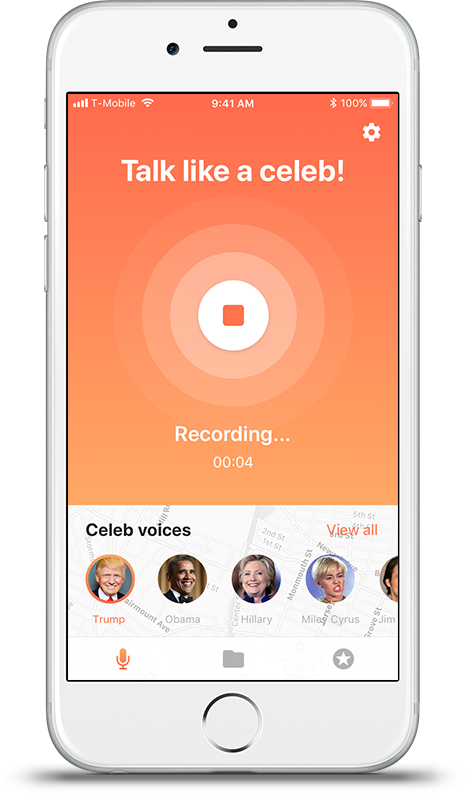 The future is now - speak into your phone and change your phone to speak like a celeb. Unreal voice-modification technology at your fingertips! ©Copyright 2018 Mod Talk, LLC. All rights reserved. Contact: contact@modtalkapp.com.